Auger & Auger is proud to support the Adam & Matthew Group 4 Dads, also known as AMG4D. Auger & Auger attorney Herb Auger recently donated $500.00 to this outstanding organization. AMG4D was started by Brian Wulf and it is an organization formed to support fathers of children with disabilities. After spending many years as father to two severely disabled sons, Brian Wulf felt a vision of what kind of possibilities could be there to support and empower other fathers to special needs children. He saw a lot of men struggling with discouragement, overwhelmed by the challenges not only to their children but to their marriages and relationships with other people, all while balancing jobs and community responsibilities. How much more could each man accomplish and how much more successful could his efforts be if he had empowering support from other dads who know what this kind of life is like? With that concept in mind, Brian has worked to develop a diverse program of supportive services ranging from financial planning to group interaction to personal coaching as means to help each father fulfill the challenging role handed to him. The communities that we serve are very important to our law firm. Auger & Auger is proud to support organizations such as AMG4D and we thank them for the very important work that they do and we wish them continued success. A man in Denver, North Carolina was shopping with a friend in a local Lowe’s gardening center to surprise his wife with new flowers for their landscaping. 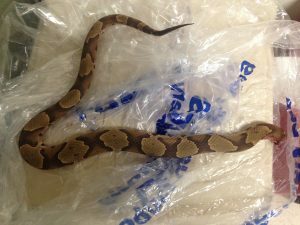 While he was shopping, he was bitten by a 3 foot long poisonous copperhead snake while reaching to pick up a plant. He suffered from extensive swelling and was rushed to the hospital. His wife had to miss work to be by his side. He was transferred to ICU the intensive care unit when the swelling in his arm was stopping blood flow to his fingers and had traveled down his right side to his hips, lower back and abdomen. He is being treated with anti-venom and is currently on three pain medications. The victim has hired Auger & Auger to represent him. It is the law firm’s contention that Lowe’s Home Improvement, its managers, employees and/or suppliers were negligent, careless and reckless in failing to implement and/or carry out reasonable safeguards and processes to prevent this kind of injury. Attorney Herb Auger said his firm is investigating two issues. One, did Lowe’s have a plan or process implemented to inspect plants at the time of delivery? It would seem reasonable for any retailer to have a process in place for inspecting products for defects upon delivery from a third party vendor. Inspecting not only for dead, diseased or damaged plants, which would be in their own financial interest, but also having a plan for inspecting for foreseeable dangers to their customers with the infestation of venomous snakes being their number one concern. If they did, the 3 foot snake should have been spotted. Second, Lowe’s has snake repellants on its shelves for sale to the public. Why would they not use this in their own facilities? You can learn more about the incident here. 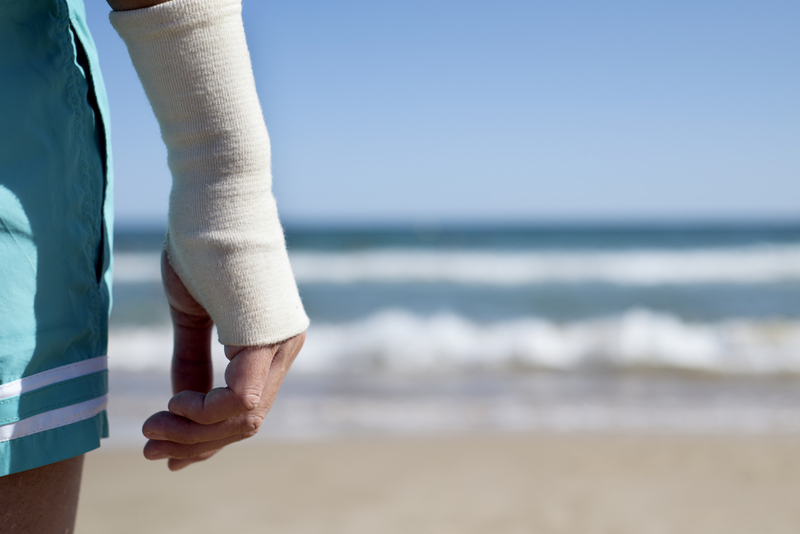 For over 26 years, Auger & Auger have been providing top quality representation for victims of personal injury in Charlotte and throughout North Carolina. Since 1995, the firm has won over $50 million for our clients in a wide range of case types, including: car accidents, dangerous drugs, golf cart accidents, workers’ compensation and many others. Auger & Auger has offices in five locations throughout North Carolina. They provide free consultations to prospective clients and Auger & Auger will never charge a legal fee unless they win.